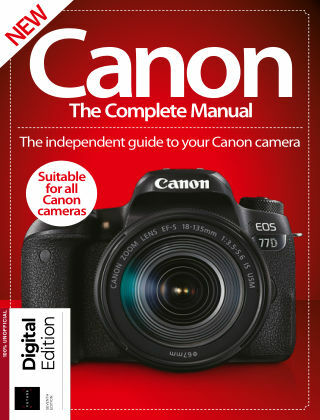 With Readly you can read Canon: The Complete Manual and thousands of other magazines on your tablet and smartphone. Get access to all with just one subscription. New releases and back issues – all included. Canon is one of the biggest names on the photography market. Within this bookazine you will learn about the essential kit, how to clean your camera and the best lenses to use for all sorts of photographs. We will also take you through the best way to compose your shots, using the flash and other useful pieces of equipment. The How to section will assist you with a variety of shots and teach you the best way to achieve them. Finally, we’ll help you get to grips with Canon’s powerful editing and sharing software. The Complete Manual series is the perfect compact companion, and even though it's small in size, it packs in everything you should ever need! Enjoy the book!